The pick and roll is one of the biggest pieces of Iowa State’s offense and has been for several years. It was an especially devastating piece of the offensive attack when Monte Morris and Georges Niang were wearing Cardinal and Gold, but a new duo has emerged over the past several weeks. Nick Weiler-Babb and Cameron Lard have thrived together in the pick and roll with Weiler-Babb becoming more confident in his shooting ability and Lard rolling harder towards the rim than he did earlier in the season. The two players compliment each other well and open the door for each to have success in the set. For example, when Lard is rolling hard to the basket, it creates a threat the defense is forced to pay attention to. When the man guarding the screener does not step up towards the ball handler in an effort to slow Lard’s roll towards the rim, things like this happen. Weiler-Babb has improved immensely in this area compared to last season and is averaging 0.916 points per possession (according to Synergy Sports Tech) in scoring situations as a P&R ball-handler. He is shooting 42.3 percent and averaging 1.154 points per possession on shots off the dribble in these situations as well. His success forces teams to respect the fact he is more capable of shooting off the bounce. When teams respect his abilities as a pick and roll ball-handler too much, it opens up plays like this. The clip does not show Lard’s screen, but his man is slow in cutting off Weiler-Babb driving to the basket so once he recovers to prevent a wide-open layup, Lard is able to roll to the basket with a full head of steam. The Cyclones’ sophomore big man is 6-of-8 on such shots this season and almost all of those have been easy looks near the rim. I expect to see this tandem utilized even more in the coming weeks and they could become even more deadly for opposing defenses. After Monday’s win over Oklahoma, I wrote that I was worried teams would start to zone Iowa State more and force them to shoot over the top out of respect for the Cyclones’ guards. 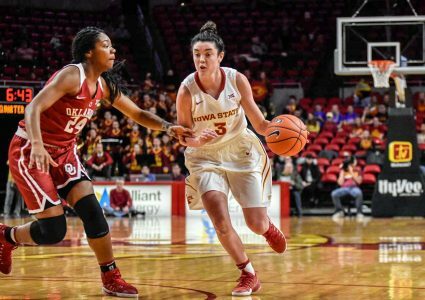 Teams have struggled to close driving lanes so far this season against Iowa State, which is part of why Marial Shayok has had such a good year. It feels like Iowa State has struggled against these zones so far, but the numbers really do not reflect that idea. The Cyclones are averaging 1.022 points per possession against zone defenses in 2018-19, higher than their season average of 1.008. Although, only nine percent of Iowa State’s halfcourt offensive possessions have come against zone defenses this season. Compare that to Kansas State’s 31 percent at a 0.799 points per possession clip (a number I don’t really understand when Kansas State has a guy in Dean Wade who seems like a prototypical zone busting type player). I expect the number of possessions Iowa State faces zone to continue to climb over the next month, but I they have moved the ball and scored effectively against it, which is a trend that will hopefully continue. It is time to officially welcome TCU’s Alex Robinson into the “Niang-Ellis Club for Guys Who Have Played College Basketball Since the Mid-1940s”. 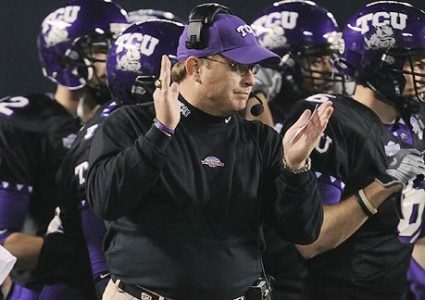 Seriously, I swear it feels like the Horned Frogs’ point guard has been wearing purple since before the GI Bill. 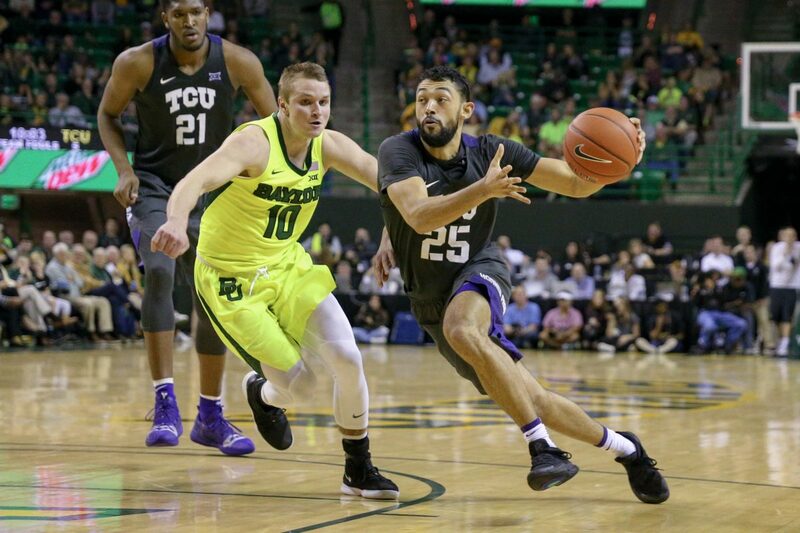 His longevity makes it easy to see how he became TCU’s all-time leader in assists earlier this week and he’ll enter Saturday’s contest with 583 dimes in his career, which is eighth in Big 12 history. His 165 assists is tops in the Big 12 after he finished last season as the league’s leader. Robinson is what makes TCU’s offense go and keeping him out of the paint will be crucial on Saturday for the Cyclones. He is as good as it comes at finding his guys open when he’s able to draw defenders and TCU’s offense is at its best when he’s playing well. In the Horned Frogs’ Big 12 wins, Robinson is averaging 8.6 assists per game. In their league losses, that number drops to 3.8 assists per game.